12 sweet picks in a tin box holder with killer looks. 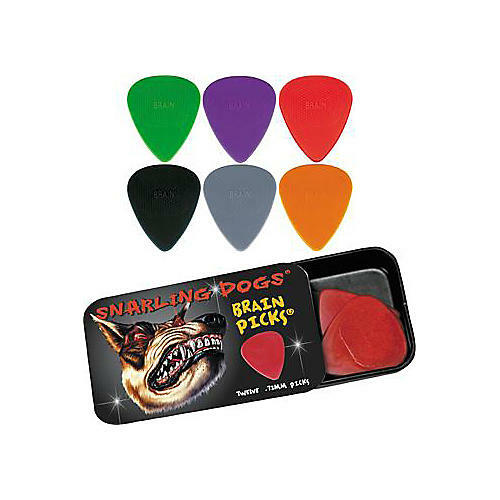 The Snarling Dogs Brain Picks feature a gritty grip surface to prevent slipping and memory tips for accurate picking. One dozen picks in a reusable tin. The Snarling Dogs Brain Picks are a smart guitar accessory. Put 'em in the cart!